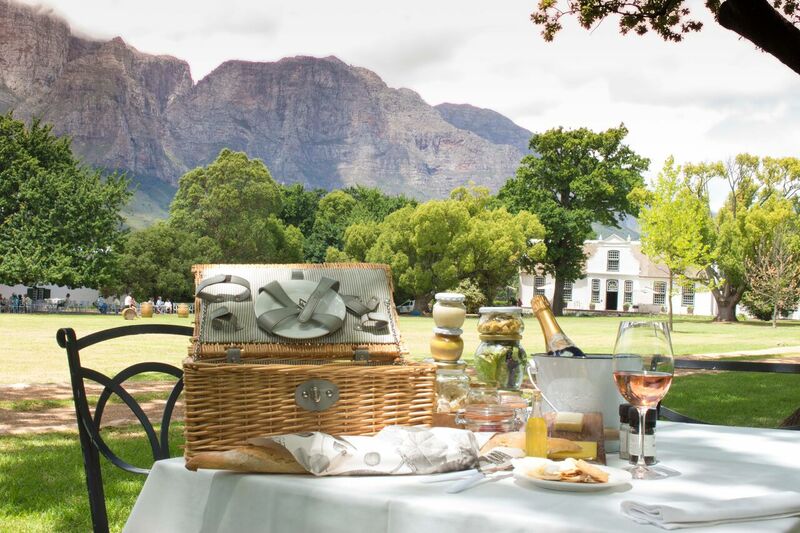 Although Cape Town has its fair share of extraordinary restaurants, it’s the Cape Winelands that really take the biscuit when it comes to gastronomic experiences and of course, fabulous wines. But where to start? With seemingly endless wineries, restaurants, hotels and tasting rooms, we know it can get a little confusing. So whether you want picture-perfect mountain views, a sprinkling of glamour or just to know where to find the best Chenin in the valley, you can’t go wrong with these… Here is Timbuktu’s guide to the Cape Winelands. Set yourself up for a weekend of wine tasting with lunch at Maison. 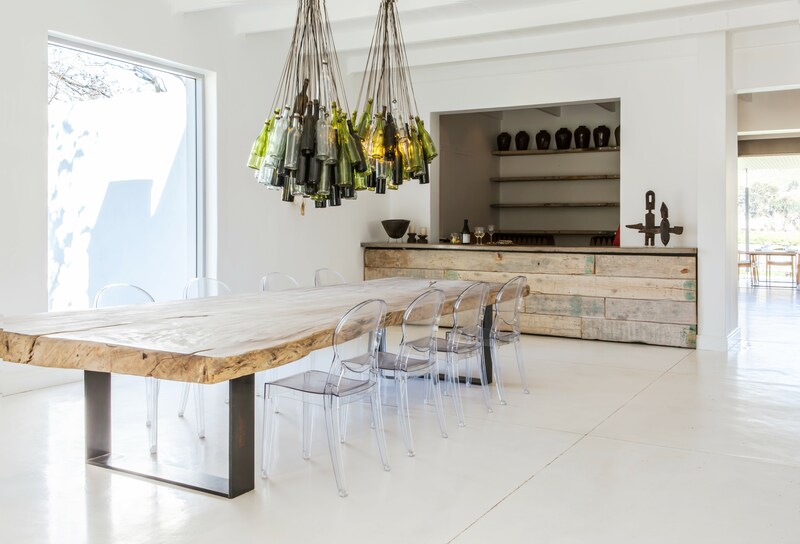 The estate is owned by the Weylandts family, the crew behind Cape Town’s hottest interiors emporium of the same name, whilst the restaurant is run by Liam Tomlin and his Chef’s Warehouse team, so expect seriously-stylish furniture to go with your seriously-delicious food. Food is served tapas-style, so pull up a pew under the trees and let the eight-course feast commence. Expect anything and everything from smoke-fired Franschhoek trout to suckling pig and Malay-style mussels. 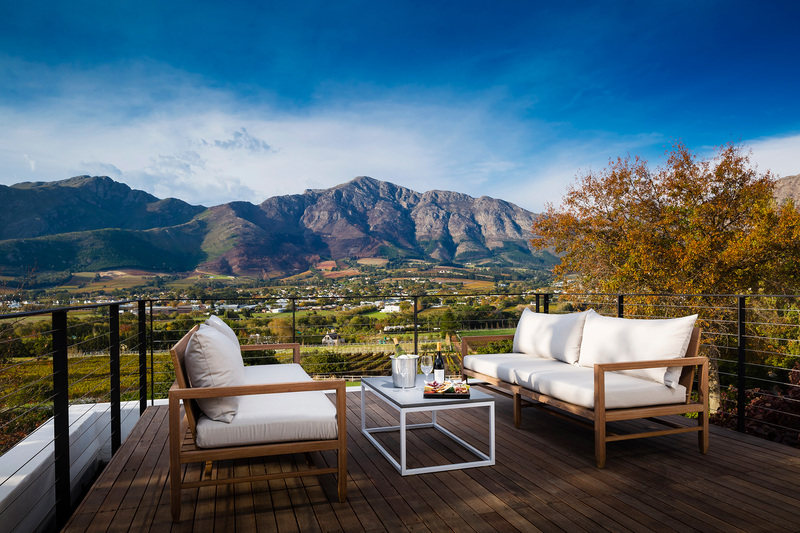 Richard Branson’s swanky South African offering, Mont Rochelle is the crème de la crème of vineyards. At the relaxed Country Kitchen restaurant adjoining the tasting room and cellar, red and white (or both!) tastings are served up on the white-washed terrace accompanied by a selection of gourmet canapés. 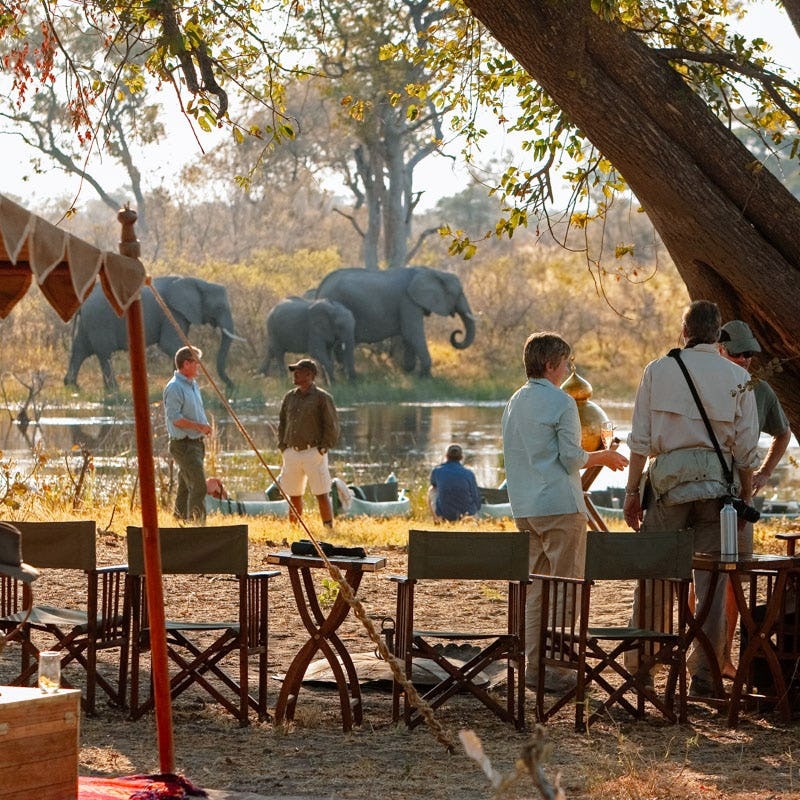 Afterwards, choose your favourite bottle and enjoy it with a picnic in the picture-perfect grounds. Stretch your legs with a stroll around Babylonstoren’s modern-day Garden of Eden. Get lost in the prickly-pear maze, relax in the mulberry orchard or explore the extensive gardens, in which all 300 varieties of plant are either edible or used for medicinal properties. And after all that wandering, you might need some reviving. Handy then that there’s a beautiful glass-walled tasting room for grape sampling and two restaurants for organic munching. If bubbles are your thing, then Moreson is your place. 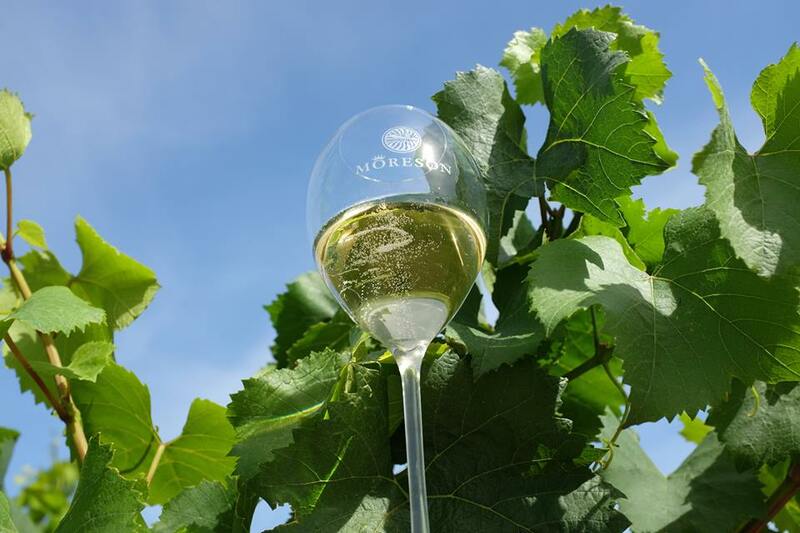 At the end of the aptly named Happy Valley Road, MCC (Methode Cap Classique, the champagne of South Africa) tasting takes place in a shady garden, burbling stream to the right, citrus trees to the left. Sip on the classic Miss Molly Bubbly, munch on one of chef Neil Jewell’s charcuterie boards and simply soak up the magic of the Cape Winelands. Heaven. Head out of Franschhoek on the Helshoogte Pass (dodging the daredevil cyclists whizzing past) and just on the left is La Petite Ferme, one of the loveliest vineyards in the Cape Winelands. Views across the valley are stop-in-your-tracks spectacular and you can gaze at them all day long from one of the Manor House or Vineyard suites, all featuring enormous four posters and decadent bathrooms. Oh, and did we mention there are cellar tours and an award-winning restaurant too? 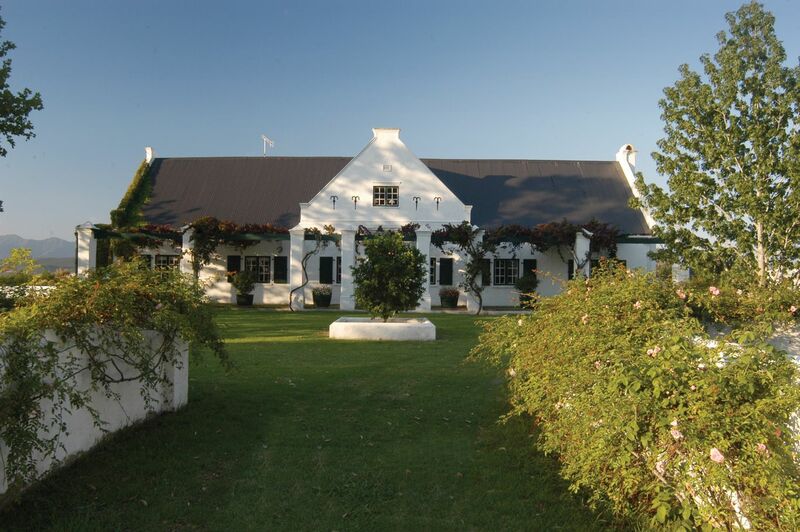 Back in the day, Fairview was the first farm in the Cape Winelands to offer wine tastings as we know them. Today, their tastings come with with a furry twist in the shape of 100 female goats who roam the farm around the iconic ‘Goat Tower.’ Sip a glass from the ‘Goats do roam’ range and sample the delectable cow and goat milk cheeses, browse the artisanal bread in the bakery or head to the Goatshed restaurant for the full works. Are you noticing a theme here?! Owned by the biggest diamond family in the world, Delaire-Graff is glitzy, luxe and just a little bit bling… and we love it! For all its spangly glamour, the estate itself is really very relaxed and everyone is welcome for tastings of the superb Merlot and award-winning Cabernet Sauvignon. Book ahead for lunch on the terrace in the exquisite restaurant or go all out and stay on one of the private cottages, complete with heated plunge pools, Jo Malone toiletries and infinity-stretching views. Looking for something different to the Franschhoek fine-wining-and-dining scene? Try the Tuk Tuk Brewery, a 250-litre microbrewery offering four bespoke and four from established company CBC. Sip a cold one and tuck into a plate of nachos or ceviche or in true Winelands style, taste all eight of the creations, each paired perfectly with a traditional Mexican bite. What clever chaps.